Danstar Productions was founded by Producer/Publisher Janet Marie in Malibu, California in 1990. The original focus of the company was on television and radio production due to Janet’s extensive production background working in TV. Janet had worked at ABC-TV on major programs such as “General Hospital” back in the 1980’s.She was also in on the ground floor of music videos and had worked with major artists such as Rod Stewart and Earth, Wind & Fire. Janet had earned her M.B.A. on a Mellon Grant and her A.B. degree in Theatre Arts from Smith College, so she was keenly interested in merging business with entertainment as an over-arching career goal. In the 1990’s, the company produced over seventy direct response television commercials as well as two pilots and two radio shows in Los Angeles. Then, in 1999, the company segued into music production after Janet Marie had an epiphany that it was really the audio aspect of production – especially lyric writing -that resonated with her the most. She had written her first published lyric, “Love Patrol”, as a radio show theme and had really loved the process. Ironically, that first composition is still being actively licensed and has been used several times for various foreign TV commercials! 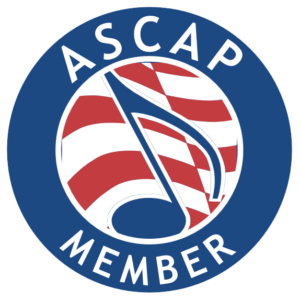 An early novelty composition, “The Hokey Pokey Hip-Hop”, led to a co-publishing agreement with Sony Music, acceptance to ASCAP, the performing arts society, and the start of what would be a long and fruitful partnership with Karen Soroca. Soroca herself brought much to the table with her extensive background in music, dance, acting and professional on/camera singing (“Scrooged”, “The Addams Family”). Karen earned her Bachelor’s degree from Hofstra and her M.A. degree in Choreography from NYU. Of special note, is that Karen and Janet had been friends since 1979, were both trained dancers, and were both raised in the New York area, so that their songwriting partnership was a wonderful and natural fit. One of the first songs “Soroca & Allocca, Songwriters” collaborated on was the rollicking, bluesy women’s anthem, “Wise Woman”. The song was used in the end title credits of the U.S. Air Force co-sponsored documentary, “Above & Beyond: 100 Years of Women in Aviation”. “Wise Woman” has been licensed a number of times, won an award in the Billboard’s Song Contest and has had considerable airplay as well. It is a fan favorite. Danstar Productions has a roster of songs in various genres and all songs are available as either vocal or instrumental tracks. Generally, top-flight L.A. session artists and musicians are used to record the songs at various studios. Karen Soroca herself has sung on a number of Danstar Productions’ songs. 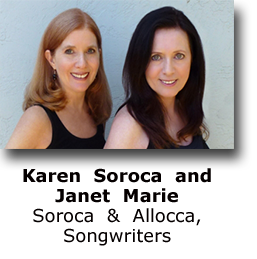 Karen and Janet particularly enjoy working with Pro Tools engineer and talented musician Lawrence Treadwell in LA and have recorded many tracks at Larry’s studio, Simple Roger. The pair have also had the privilege of recording on the main sound stage of prestigious Skywalker Sound, where they recorded the Marin Children’s Chorus performing on their track, “Livin’ Free in the U.S. of A.” All tracks are broadcast quality and are professionally mixed and mastered. Danstar Productions offers one-stop licensing for its all-original songs, which makes the process easy for anyone wishing to use one of its songs in their film, TV or live project. Danstar Productions also works through various licensing partners, such as AudioSparx and Crucial Music. 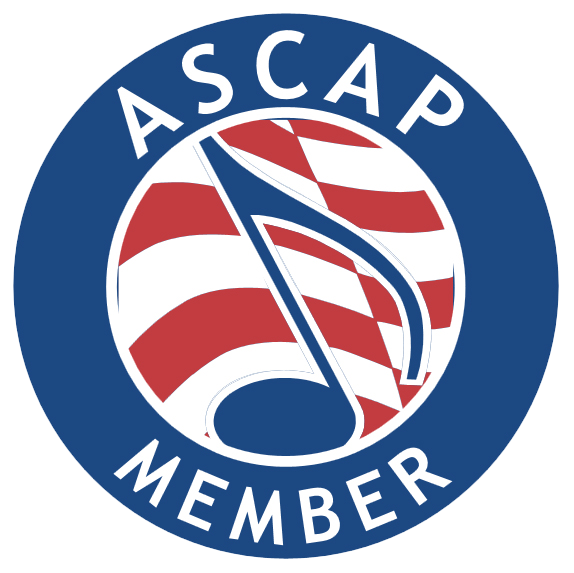 These third-party entities actively work to place Danstar Productions’ songs both on TV, film and Internet Radio. The company welcomes such non-exclusive representation deals with legitimate partners. For further information, please contact Janet Marie at contact@danstarproductions.com.